Want to be notified of new releases in cs01/python-bytecode-explorer? Pull request Compare This branch is 1 commit ahead, 31 commits behind jpadilla:master. 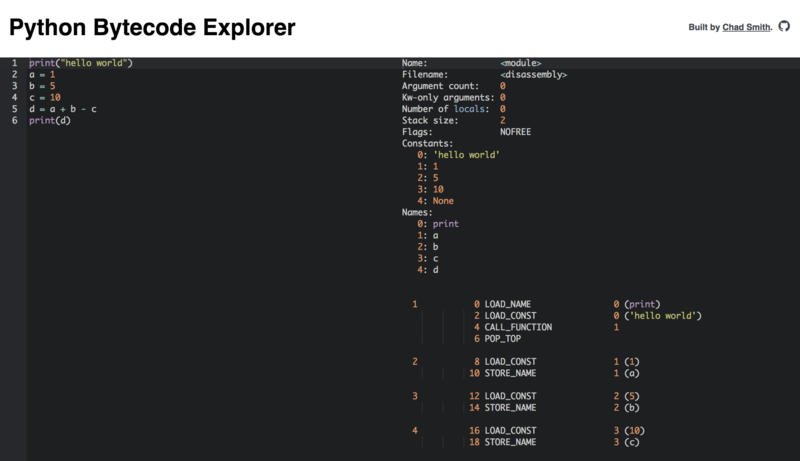 is a browser-based interactive Python disassembler. It takes your Python source code and shows you what the CPython bytecode looks like. This project was forked from José Padilla's Black Playground.